Coxhoe Village Hall is a vitally important community hub ran by village volunteers and supported by Coxhoe Parish Council. 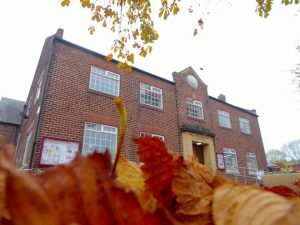 Village Hall future now at risk – can you help keep it going? The current Chair and Secretary are to stand down from their roles at the end of this term of office and so, in order to continue with their excellent work, we need to start making contingency plans now, looking to bolster our Committee and Friends in readiness for the next stage of the Village Hall’s long and interesting history. The Committee only has four people on it and we need more, particularly as we are about to lose two key members of it. If no one comes forward then the future of the Hall is in very serious doubt. We need to hear your views. Please be kind enough to take a minute or two of your time to let us know what you would like to see happening at Coxhoe Village Hall. Thank you in advance for your time and ideas which will help us help you! Coxhoe Village Hall is a vitally important, established and real community hub which in 2011was at risk. In late spring 2012 a Working Group was convened comprising of members of the Village Hall Management Committee, Coxhoe Parish Council, Coxhoe Community Partnership, Durham Rural Community Council and local volunteers with a view to improving it and securing its sustainable future. This has resulted in the current progressive Management Committee which are now working hard to secure the Village Halls future. Coxhoe Village Hall is a vitally important, established and real community hub which is at risk. The Village Hall is effectively a true community facility and was gifted to the community last century. It is operated by a Management Committee for the charitable trust. The original Management Committee have done a magnificent job in keeping the hall open and so far surviving the impact of the recession. They were an ageing management committee who may need some help to sustain the future of this important community facility. Some sources of funding were potentially under threat with the County Council , for example, under significant funding pressure in the years to come. They have been looking at ways to move forward, including working with the Co-op to improve the parking area. There are a range of regular activities taking place from play groups to older persons’ social meetings. The hall has been a centre for different dance groups. There are also less regular events such as events undertaken by the Parish Council and County Council. The local History Group also uses the Village Hall occasionally for their exhibitions. The Village Hall had a range of different rooms available and has some important features including a a refreshment area and stage. Coxhoe Community Partnership has helped with some improvements to the access to the building and has also invested in the improvement of the Village Hall Memorial Garden. There is now reasonable disabled access to the ground floor but no disabled access to the first floor. There was clear support for the sustained future and improvement of this important community facility. 95% of those who completed the Parish Plan household survey supported this. Lesser numbers felt that there were adequate activities at the Village Hall (60%). In addition, activities for young people and sport, leisure and culture are seen as key priorities for the community. Whole arrays of suggestions were made about what activities could be made available, ranging from, arts and crafts to drama groups to a range of educational classes such as relationships. Many people commented that the Village Hall should be given a complete re-vamp and needed new ideas. Some felt that it could be used more for a ‘parish centre’ with the Parish Council using the building more for its meetings. Others felt that it should be open more hours, particularly during the day when its toilet facilities could be made available to the general public. 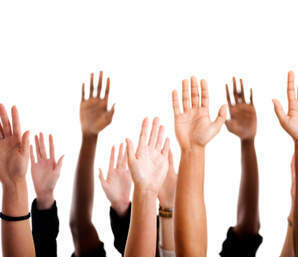 There was some evidence in the household survey that some people may be prepared to volunteer to help out (22% offered their services). There is no doubt that the Village Hall is an important and well appreciated community facility. Its future was in doubt. It was evident that in the timeframe of the Parish Plan the original Management Committee would be looking for new management committee members to assist them in the protection of this important building they have worked so hard to sustain through difficult times. The village has had to rally round to save the Leisure Centre and available resources within the village wasthinner now as a result. The Parish Plan concluded that help needs to be given to the Village Hall Management Committee to help sustain its future. The following gives a taste of what has been happening over the years. The Coxhoe Village Hall Working Group was created to achieve this. the Working Group comprises of members of the previousVillage Hall Management Committee, Coxhoe Parish Council, Coxhoe Community Partnership, Durham Rural Community Council, the AAP and local volunteers. It was meeting as part of the monthly Coxhoe Community Partnership meeting. In line with the action plan the Working Group prepared and submitted a bid to the AAP’s ‘Its Up 2 U’ event which took place at the Active Life Centre in Coxhoe on Saturday 21st July 2012 between 10am and 2pm. The Village Hall exhibition at It’s Up 2 UThe Working Group put on an exhibition of the project on the day. The Village Hall’s bid was successful and it now means that the Village Hall will receive a grant of £3,000 to appoint an architect to advise on improving the Hall itself. The Village Hall is grateful that so may people came along to vote for Coxhoe projects. As people had to vote on projects a small amount of your time has made the difference in the bid being successful. Thank you. In the meantime members of the Working Group conducted visits to nearby community facilities to learn from what they are doing. A ‘brainstorming’ session was also held on 19th July 2012 at the Village Hall . The aim was to generate ideas about how the Village Hall may be improved both in terms of its fabric and in terms of activities that take place within it. This was open to everyone. The new Management Committee took over in the Autumn of 2012 and have made significant improvements to the hall and its sustainable future. they developed and improvemet plan and have made great strides in implementing it including complete redecoration, new bar, new kitchen, state of the art heating system, book and reading room, computer equipment, solar panel energy system and a great variety of activities and events including the excellent Village Hall Hop and associated regular music events. The Village Hall now has a sustainable future. There is just one piece of the jig saw left and that is an extension to provide additional accommodation and the heritage centre. Work on seeking funding for that has already started. The Village Hall Working Group concluded their activities when new Village Hall Management Committee took over.The Village Hall still needs more volunteers. If it does not get help from the community the Hall’s future could be back in doubt. Even a little of your time or skill could help save this important community resource that while now performing well remains at risk because it depends on volunteers. The Parish Council has played a significant supporting role in the change that has occcured. It has provided financial and human resource support. It has moved its offices from Landsdowne Road to the Village hall and there has helped to sustain the use of the hall and make itself more accessible to the community as a result. 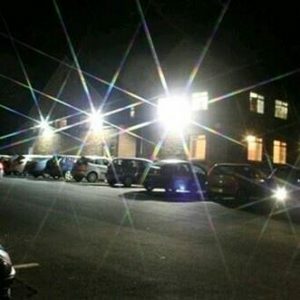 The Parish Council has since taken on the responsibility of the ownership of the Hall while leasing back the hall back to the Village Hall Association on a 999 year lease. As a result the community use of the Hall can be sustained for many years to come. You can check out all news, activities and events at www.coxhoevillagehall.com.